I got me some Loscil off Audiogalaxy back in the day. The album, his first, was called Triple Point, after the thermodynamic concept of a point on a pressure/temperature plot where a substance would theoretically be solid, liquid, and gas all at once. The music was claimed to be representative of those processes involved in thermochemistry, but that's not really my field. In any case, it was cool, but somewhat monotonous if I remember correctly, and it was with some apprehension that I picked up his next album, Submers. Fortunately for us, his sound had matured and complicated, and what I got was a heavier, more complicated affair, but still stark and original. It's another concept album; each track on this one is named after a submarine, and while I can't say I recognize the sounds of these various plate-iron sea-unicorns, the overall effect is certainly one of submersion. Muted and soft in general, with sharp percussion like the noise of parrot fish biting coral, and the occasional sonar blip (naturally), you really do get a nice deep blue marine feeling from the album. The closest reference point I can come up with is Pan American, though that's much more jazzy. If you like electronic music, you should certainly give this a shot - it's pretty low-key, but it's too experimental-sounding to fall under the "chill" category. Basically, it's the perfect thing to listen to while reading "20,000 Leagues Under The Sea," which is exactly what I was doing when I decided to post this cool album up here. Also, I misspelled every word in that book's title as I was typing it - "20,000 leauges uner teh seas" indeed! 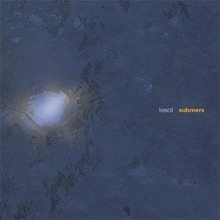 Here's "Mute 3," by Loscil. complicated affair, but still stark and original.